A little more than a year ago, while cleaning my office, I came across an envelope from a one-hour photo shop. It contained several photos of one-to-one conversations I had when I used to do street fishing for Way Of The Master Radio (now known as Wretched Radio). I started street fishing for Todd Friel, the host of Wretched Radio and Television, back in October of 2006. It's hard to believe it has been almost six years since Todd asked me to participate in the show. As I flipped through the pictures, I came across the above photo. At first I didn't think much of it. I thought it was just another picture of me open-air preaching. But something about the photo held my attention. Then it hit me. The photo I held in my hand, the one my good friend Dale Jackson turned into to the piece of art you see aove, was taken by either my wife, Mahria, or my youngest daughter, Amanda. It was taken during my first open-air. It was taken shortly after I climbed atop a box for the first time to preach the gospel of Jesus Christ, outside the four walls of a church. The photo is undated, but it was taken during the summer of 2005. I would like to share with you, now, the story of my first open-air. 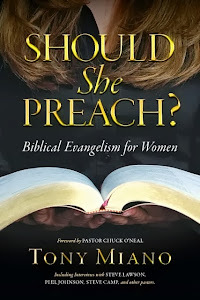 I hope by sharing the story other Christians will be encouraged to step out in faith and, as we like to say in evangelist circles, "break the sound barrier." Prior to my first open-air, I had been distributing gospel tracts and going to places like local malls to engage people in conversation. 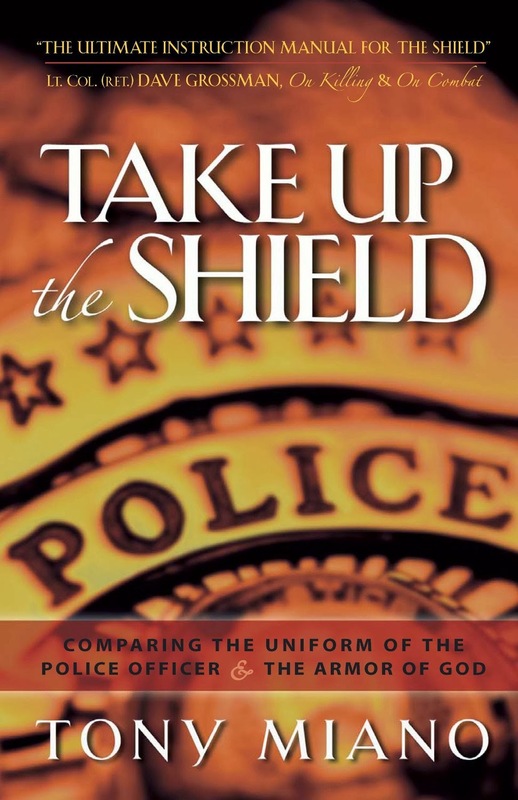 I had recently published Take Up The Shield, which afforded me the opportunity to visit Living Waters and meet Ray Comfort and the Living Waters team. The publishing group that published my book also publishes many of Ray's books. By God's grace, I began a friendship with Ray and Stuart "Scotty" Scott (Ray's fishing buddy for many years). Both men made themselves available to answer my questions about all aspects of evangelism, including open-air preaching. I traveled to Huntington Beach to listen to Ray preach. And I visited Scotty several times at his favorite fishing pond, at one of the theaters in his community. As I spent time with these two godly preachers, my desire to open-air preach grew. The thought was both exciting and frightening. For what seemed like months, I vacillated about whether or not to climb atop a box to preach in the open-air. Scotty bore the brunt of my indecision, receiving frequent e-mails and phone calls, seeking his advice and encouragement. He was both patient and kind. One afternoon during such a phone call, Scotty said, "Tony, just swallow your fears and do it!" There was something in the way Scotty said it that gave me the final push I needed. Now the question was where. 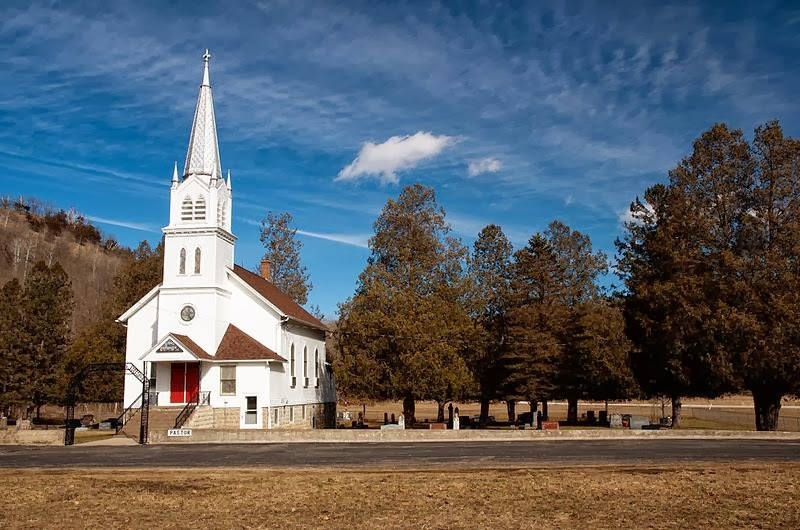 Where would I preach my first open-air message? I knew it wouldn't be in my own community. The reason for this was two-fold. First, Santa Clarita, being such a "planned" community, there are very few truly public places where people gather en masse. Second, while I thought I had worked up the courage to preach, there was no way I was going to preach in an area where deputy sheriffs I knew and with whom I worked might receive a call about the "crazy guy on the box." So, I chose a location almost sixty miles from home--Marina Park in San Buenaventura. Marina Park is a quiet little park adjacent to the beach. I chose the park because I was familiar with the area and I was certain no one I knew would see the spectacle I was sure I would make of myself. My team that cool and overcast Summer day consisted of my wife, Mahria, and my youngest daughter, Amanda (who was about ten-years-old at the time). Mahria is, by nature, a quiet person--one who enjoys being in the background, quietly and prayerfully supporting her more extroverted husband. Amanda, well, she takes after her mom. We arrived at the park at about noon. Because of the unseasonably cool weather, there were few people in the park, which was just fine with me. I brought with us a canopy, table, Bibles, and tracts. It took a little time to set up our makeshift evangelism booth. I then spent the next hour working up the courage--the courage to do this. "Mahria, I need you and Amanda to go gather a crowd for me." "I need you to walk around the park and tell people that I'm going to give away money for answering trivia questions." "Umm. No. We're here to support you, but we're not going to do that!" Amanda's eyes were as big as saucers. Her eyes expressed a fear the two of us most definitely shared. "Look! If you don't go draw a crowd, then we're going home! And we would have driven all the way out here for nothing!" This was not a particularly spiritual or chivalrous high-point in my life. Mahria took little Amanda by the hand and the two of them, literally dragging their feet, headed west toward the beach. I watched as my two ladies disappeared over the small rise that separated the park from the beach. For a moment, I foolishly wondered if I would ever see them again. It was then that I had a not-so-spiritual conversation with the Lord. "God, if you want me to open-air preach, you'll have a crowd standing in front of me, in the next ten minutes. If not, then I will take that as a sign that I should pack up and go home." I waited; half-hoping no one would come. I was scared. A few short minutes after that unbiblical prayer, I noticed Mahria and Amanda in the distance walking back to where I stood. And then I saw something that scared me more than the thousands of angry people I encountered as a deputy sheriff, during the four days of senseless rioting in Los Angeles, in 1992. People. Mostly teenagers. Lots of people. In my mind's eye, which, at the time, was distorted by fear, the people coming toward me over the rise looked like a colony of hungry ants marching to a picnic. What in my mind was a throng of people was, in actuality, thirty to forty people. I would later learn that Mahria and Amanda, once they hit the beach, wandered into a "Sweet 16" birthday party. As soon as the group of young people heard that someone was giving away money, they moved the party from the beach to the park. Within moments, I was surrounded by a crowd of smiling young faces. They weren't happy to see me. They were looking forward to separating me from my money. There was no turning back, now. Mahria had a look on her face that said, "Well. Go on! You wanted a crowd. Here it is. You better preach." 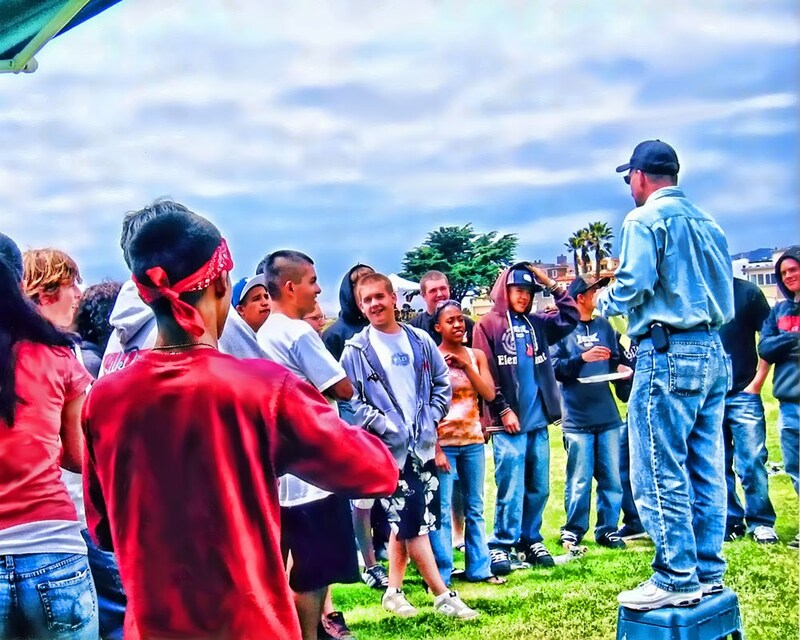 Since that life-changing moment, I have preached hundreds of times in the open-air. What happened next was a phenomenon that stays with me to this day, almost every time I climb atop the box. With trivia questions and dollar bills in hand, I placed my right foot on the box. Then it happened. My right foot found its way to the top of the box relatively quickly; but my left seemed to be glued to the ground. It wouldn't move. It was as if the gravitational pull underneath my left foot was so strong, my foot felt like it weighed hundreds of pounds. And there I stood in that position, for what seemed like several minutes. In reality, it was probably less than a minute. Today, the phenomenon appears far more spiritual than it is. With Bible in hand (instead of trivia and cash these days), I place my right foot on the box. Then I begin to flip through my Bible, giving the appearance that I'm searching for a text from which to preach. That decision was made long before I stepped onto the box. What I'm doing, in reality, is buying time--buying time for my left foot to be released from the ground so I can finish climbing onto the box. It's that twinge of trepidation that is with me to this day, every time I preach in the open-air. Eventually, my left foot joined the right atop the box; and I began to ask the crowd of people trivia questions. After giving away several dollars, I asked the crowd if there was anyone present who would like to try to win $20. With a small roar, every young hand in the crowd shot in the air. I chose a young man in the crowd and took him through the Good Person Test. And then I preached the gospel for the first time, in the open-air. There was nothing eloquent about my preaching. I knew that I had preached "better" from the pulpit. My sermon was short and to the point. I ended my sermon much the same way I end almost every open-air sermon to this day. "So please, repent. Turn from your sin. And by faith, and by faith alone, receive Jesus Christ as your Lord and Savior while God has given you time. And thank you for listening." I did it! I preached the gospel in the open-air. I survived. No one tried to kill me. There was no weeping or gnashing of teeth from the crowd. In fact, what happened next both amazed and encouraged me. The crowd did not disperse. They just stood there as if they were as amazed at what they heard as I was to have preached. I even motioned with my hands to the crowd, as if to shoo them away. "I'm finished." I said. Yet they would not leave. Some of them wanted Bibles. Others had questions--not the typical kind of questions angry atheists ask for no other reason than to justify their unbelief; but real, sincere questions. I fought back tears as I realized two things. First, I came to the realization that, for many years, I had sinned against God. I had sinned against Him by not proclaiming the gospel in the streets. I had thought that the Lord had destined me to fill a pulpit, to shepherd one of His flocks--one of the greatest callings a man can ever have placed upon his life. But I realized at that moment that there was another equally important calling--that of the herald of the gospel of Jesus Christ--that of the person who is called to proclaim the gospel in the highways and byways to a lost and dying world. Second, I knew at that moment that I had discovered my true calling in life. I finally knew how the Lord would have me serve Him for the rest of my life--as an evangelist. After a little more time talking to the young people in the park, we packed up our stuff and headed home. Mahria would know best; but I don't think a smile left my face the entire way home. All I could think of was that crowd of people who had just heard the gospel, and where the Lord would have me preach next. That was almost seven years ago. Today, I can't think of anything else I would ever want to do with my life, other than preaching the gospel and encouraging and equipping other Christians to do the same. Often times when people ask me how I'm doing, I answer, "Better than I deserve." It's a true statement. Whether the day is good or bad in my mind, by the grace of God I am always doing better than I deserve. To be allowed by my Lord, Savior, Creator, and King to herald His gospel in the streets is to be given a precious gift that is far and away more than I will ever deserve. To my Lord and Savior Jesus Christ be all the honor, praise, and glory. Him I proclaim!